Highly nutritious, calcium fortified diet for large aquatic turtles and amphiTET bians. Scientifically formulated, large & easy -to-metabolize, floating food sticks. 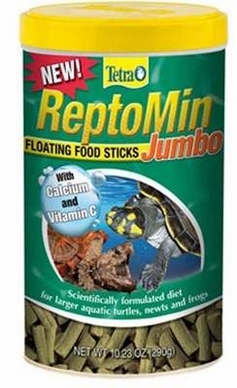 Important for turtles larger than 6 inches in carapace length, where regular ReptoMin is too small.